Vegetables and spices are grown in almost every country; only a few countries are importing them. But there are certain types of spices and type of natural food products that are grown in a large base in China and supplied world-wide. The main important thing is that they are organic and grown without any kind of harmful products. These food products are produced without pesticides to ensure their organic quality. China fresh garlic is one of them that is the basic need of a variety of dishes, added in different types of sauces and also used largely for medicinal purpose. What often draws attention of suppliers is quality and freshness. White garlic, normal white garlic, peeled garlic, etc are different types that you can choose as per your requirement. Now, what is more important than anything else is selection of the grower or farms where such natural products are grown and harvested? Farm owners and growers are involved in harvesting, processing, packing and transporting too; while prices are lower than wholesale market. You can place your order directly from garlic supplier anywhere in the world and get packets delivered to your given address on time. There are a number of renowned big farms and growers involved in production of China fresh garlic. 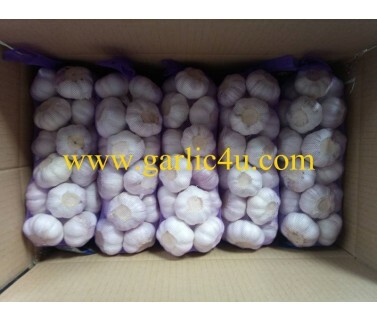 If you are looking for the right one to place your order, you have come at the right place at Garlic4U.com – an online garlic supplier of Jining Fenduni Foodstuff Co., Ltd. is established in 2005. They have rich experience in growing, harvesting, selecting, processing, packing, refrigerating, transporting, and exporting garlic. Prices are competitive and will be in your budget.